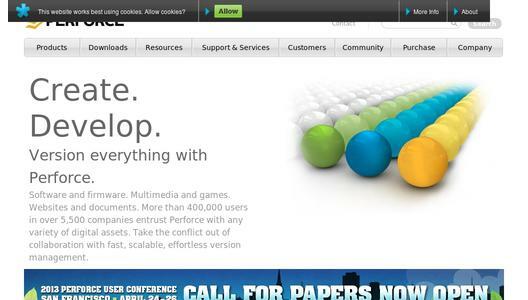 Perforce Software announced today the availability of Perforce Chronicle, the company's new Web Content Management System (WCMS), which introduces powerful new capabilities to website development and management. By combining enterprise-class version management with a user-friendly WYSIWYG editor, Perforce Chronicle significantly improves web team collaboration, productivity and accuracy. "Despite the many WCM solutions on the market, many costly collaboration and deployment challenges have persisted," said Dr. Sunit Gala, CEO, of Blisstering Solutions. "That's because almost no vendor in the space has looked at this problem the right way. Perforce was the first to recognize that these collaboration and site management issues are directly solved through version control, an area in which the company has significant expertise. With its new Chronicle product, Perforce has delivered a solution that not only raises productivity and promotes teamwork, but also eliminates common systemic and human errors due to inadequate version management." 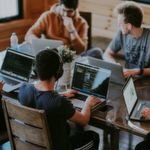 "Web teams are hindered by time-consuming staging and deployment processes or the conflicting content and errors that appear as web managers struggle to keep track of content iterations on their dev, staging and live environments," said Furkhan Khan, Director of Product Marketing for Perforce Software. "By taking a versioning-first approach, Perforce is uniquely able to address these issues. We have a rich history of solving collaboration problems for global software development teams and now we're bringing our expertise in this area to web teams." Chronicle's versioning technology makes web managers more productive by helping them manage the constant flow of website change-site functionality, content, new projects and teams, permissions, user configurations and more. Chronicle automates many of the formerly time-consuming manual tasks associated with moving content from development to staging to production, and raises productivity by enabling parallel site updates without conflict. Chronicle significantly reduces errors by providing the ability to compare and deploy web pages and content. This ensures accurate content and enables web managers to confidently extend branches of the site to additional contributors. With Chronicle, content is also protected and automatically backed-up, meeting corporate requirements for compliance. - Create New Environments Easily: Create an unlimited number of development, test, and staging areas for any contributors, projects or teams. - Streamlined Workflow: Customizable workflow allows users to configure steps of approval for publishing content. Assign custom workflows by page type, project or team. - Accurate Content Merge: Chronicle makes it simple to reconcile changes back into live site content, error-free. - Compare Versions at a Glance: A powerful compare feature lets users see the differences between versions of content in three different modes: HTML source, side-by-side and overlay view. - Schedule Updates: Roll forward or backward any scheduled updates and announcements, user access, or other administrative functions. - In-Place Editing: Edit with a full-featured WYSYIWYG editor, in context and inline. - Roles and Access Control: Granular control over access to various operations within the WCMS, including assigning required roles to workflow steps. - Add Modules: A full complement of plug-ins and extensions using the familiar ORM-like development model of Perforce Records. - Higher Productivity: It's easy to create new environments for staging and development quickly and without error. Moving content from staging to production is faster than ever. - Fewer Website Errors: Merge new content with the live site without mistakes. - Collaboration without Conflict: Chronicle makes it easy to add new contributors and teams-for both internal and external staff-without creating content chaos. - Greater Compliance, Fewer Uncertainties: Well-defined workflows with accountable approval stages and rollback abilities to document compliance. The world's most innovative companies and recognized brands trust Perforce to manage their digital assets-from intellectual property to business documents. In fact, more than 400,000 users across 5,500 businesses rely on Perforce for enterprise version management. Chronicle users have access to Perforce's technical support teams, recognized worldwide for their responsiveness and expertise. Perforce Chronicle is now available and a 14-day trial evaluation in the cloud is free from perforcechronicle.com. It is priced at $10,000 per server annually. A Community Edition of Chronicle is also available which is free for up to 20 users and 1,000 files. For additional price and license information, email sales@perforce.com.